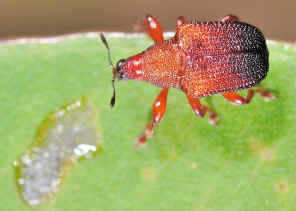 Brown Leaf-rolling weevil - Euops sp. 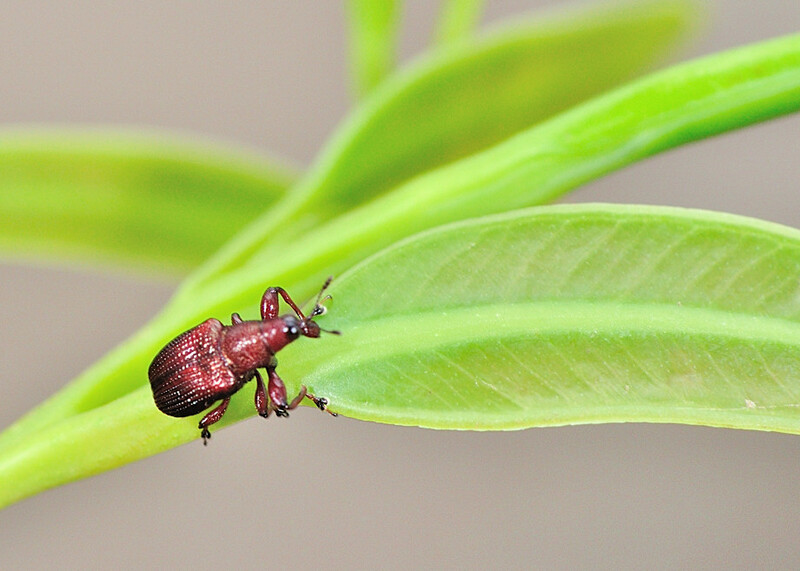 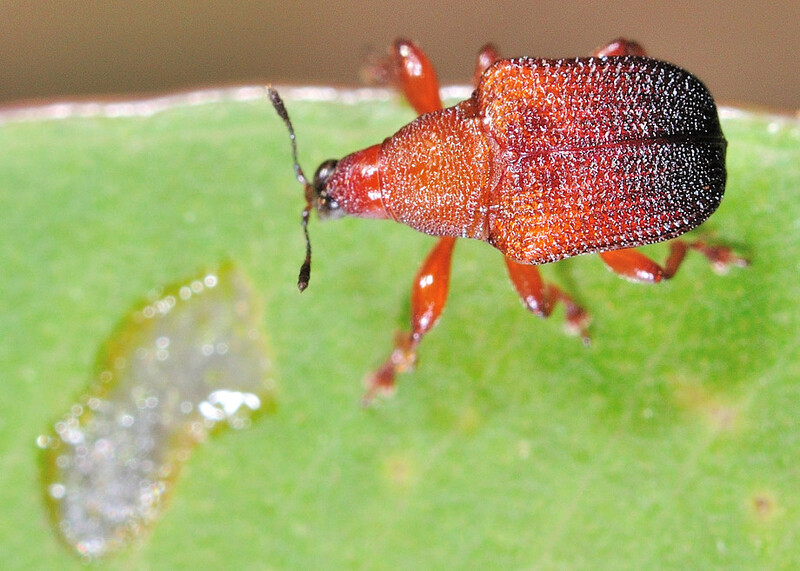 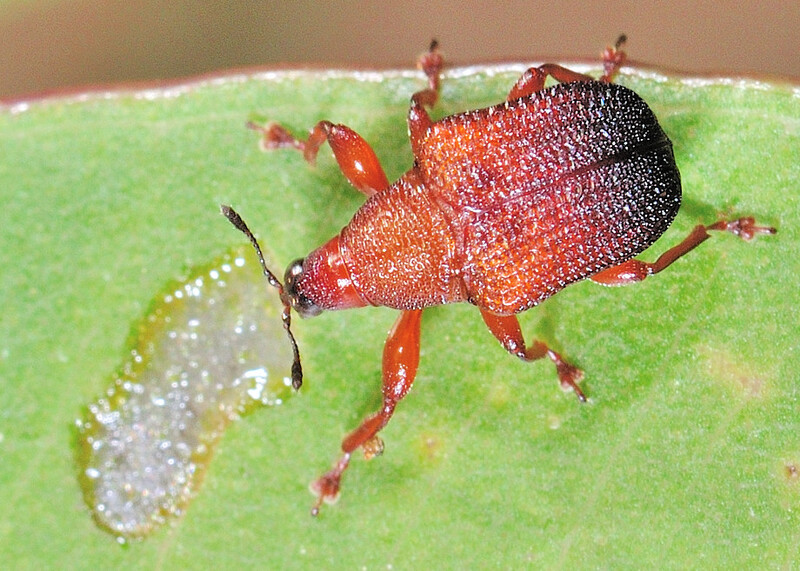 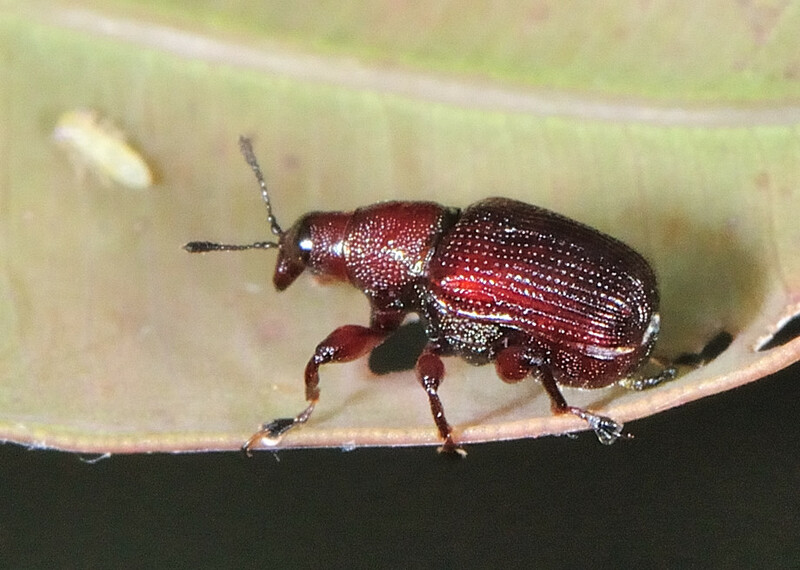 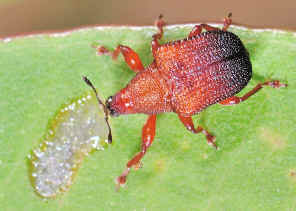 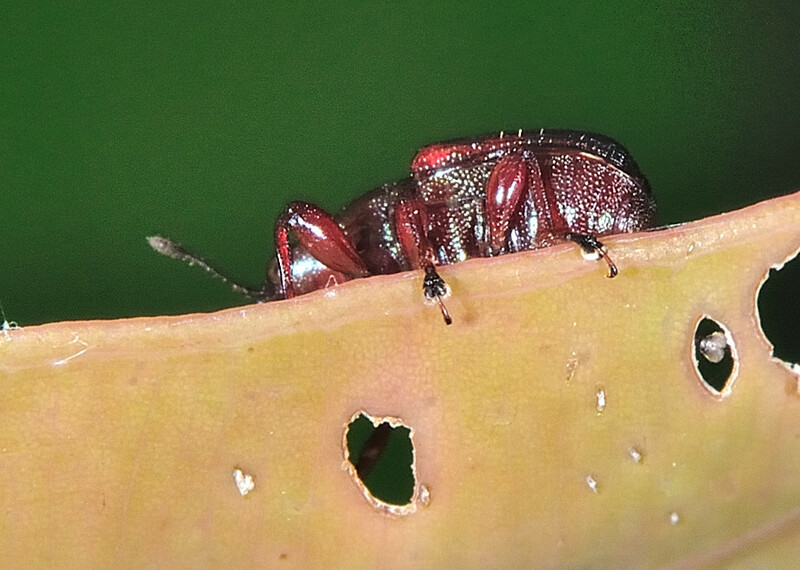 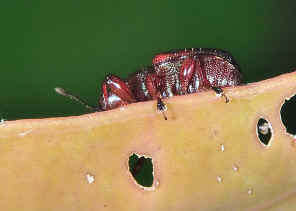 The weevils in this Attelabidae family are known for their leaf-rolling habit. We did not notice any details about this yet. Adults were usually found feeding on the new shoots of gum trees. 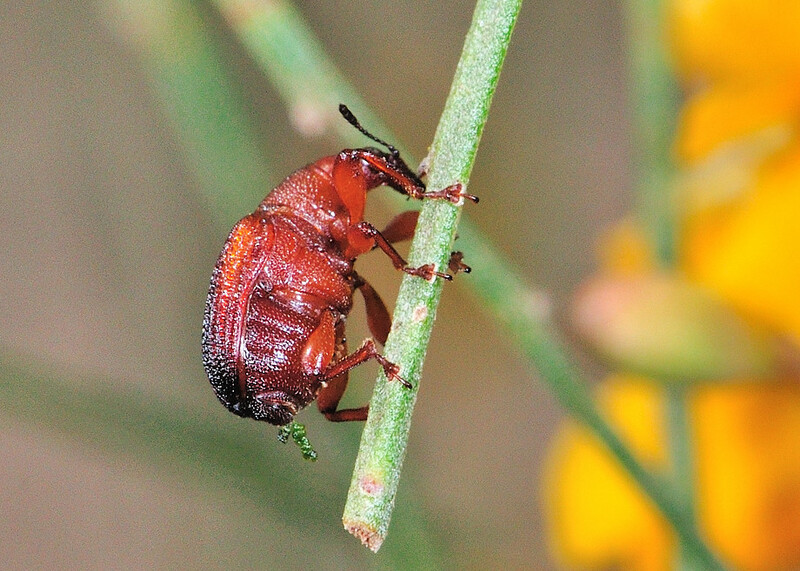 Photos were taken on Nov and Dec 2010 on Daisy Hills near Buhot Creek. 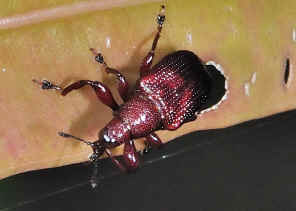 On Sept 2011 in Anstead Forest, we saw a few of them feeding on leaves of small gum trees. As most other beetles, they drop onto ground when disturbed.